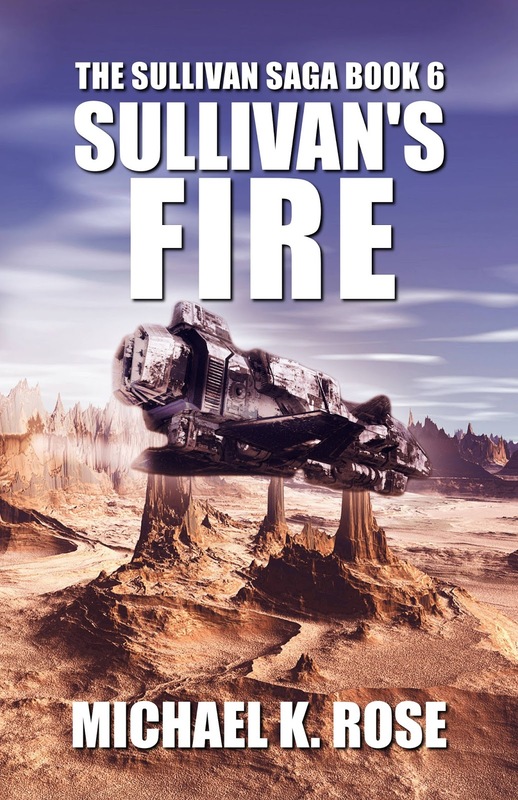 MYRIAD SPHERES: New Release: SULLIVAN'S FIRE! Hello, all! At the beginning of 2016, I decided I would write three new novels for The Sullivan Saga. Here, at the end of the year, the final book has just been released! Sullivan's Fire brings to a close the story arc begun in Sullivan's Blood. It may not be the ultimate end to Rick Sullivan's story, but it is for the time being. It's available for purchase from Amazon and is currently free to read for Kindle Unlimited subscribers. Check it out here: http://amzn.to/2g71TvE. I have a lot of things planned for 2017; in fact, I'm nearly finished with the first new novel I'll be releasing next year. More about that will be coming soon! One final note: Beginning next year, email subscribers will begin receiving free, exclusive stories! Some might eventually see publication, but that would be a ways down the road. I plan on one per quarter, but you might get a few more if I'm being particularly prolific. You can sign up for the newsletter here: http://www.michaelkrose.com/newsletter. In the meanwhile, thank you for your continued support this year. I wish you all the best for the holiday season! Free Stories for Newsletter Subscribers!